We’ve noticed that our page has gotten a lot more visits lately, so it’d be nice to guide some of you all on how/where to work out with us. If you’re interested in joining our free ruck/run/ocr meetups, simply request an invite to our Facebook group page and you’ll see multiple locations across Florida for people to meet up and train. Can’t find your location? Use our group to promote your meetup, so long as it’s free! And of course, everybody is welcome to join our club on Strava. About 2-3 times a year we host our team’s signature event, the T3. We’d tell you more, but chances are you’re reading this post in the midst of a bunch of other T3 posts, so we’ll let you do the discovery of that at your own leisure. It’s been a while since we’ve switched up our instructors for our signature team event - the T3! Back to the basics - Announcing the T3 Classic! When this team formed nine years ago, our workouts started through our neighborhoods. We’re bringing back the original style of our oldschool T3 on the 27th of April! This one will include water PT and some interesting twists while still staying true to our roots. Think you can hack it in the unassuming suburban layout? What an incredible day it was! Please join us in congratulating our newest (and some returning) T3 finishers! from 7am to 10pm they endured a plethora of trials and hardships that forged a better version of each and every person! Be sure to check out our live updates page for more photos of the event in addition to some videos on our Facebook page! The T3 is upon us! A baker’s dozen will be stepping foot into the beaches of St. Augustine this weekend to earn their red R patch! Will they prove that they’re ready to take on all of the big events out there? Find out as we post live video on our Facebook page throughout the day. For photo and text updates, look no further than our Live Updates Page! Do not be late. For every five minutes that somebody is late, those who are there will have to complete 30 burpees. Do everyone a favor and plan for the unexpected, and if you decide to drop before the event starts, you’d best let the instructor of the event know ahead of time. If you are 30 minutes late, you will be DNF’d from the event after having made all of the responsible people unnecessary burpees. Many of the attendees will be staying at nearby hotels near the beach, we recommend you get with them and plan ahead of time. Again…. Do not be late. There will be an optional bonus lap for those who wish to partake at 0640. Sometimes that means doing extra work for no reward, other times it means getting a reward for no extra work. It’s a gamble. On to our special announcement. Team Regiment is extremely proud to announce our partnership with The Give Team for the T3! This amazing team works with the New Image Youth Center – which provides after-school and summer programs to support at-risk students in Parramore. To those not familiar with the Orlando area, Parramore is listed as one of the 25 most dangerous places to live in America, so to work with an organization that provides academic support, social development, health and wellness as well as crisis intervention in that area means a lot to us – especially when the holidays are just around the corner. The Give Team lives by the motto “No matter how little you have, you always have something to give”. This inspiring team is actually the only inner-city OCR team in the country! Their focus is on building strength, leadership and goal-setting skills and currently has a closely-knit team of 12 students from the New Image Youth Center. With this partnership brings an amazing opportunity for us all to come together on the holidays and to use our coming together on the 15th to provide something greater than toys this year – a warm meal! That is why you will notice in your mandatory gear list below the requirement of a gift card for either Publix or Walmart for any amount you see fit. Through the help of The Give Team, these cards will go straight to the New Image Youth Center to help provide that holiday feast! As a bonus, whatever amount you decide to put on the card will equal half the amount of points you will be given at the start of the T3! Just provide a receipt with your card at the T3 so we can verify. We deliberately charge very little for this event simply because cost is oftentimes a barrier to entry for a lot of people when it comes to taking their athleticism to the next level, so please do not feel compelled to put more than you can afford on your required card. Anything helps. On to the gear list. •	A 5-gallon bucket. (Your instructor is bringing 6 himself. Decide ahead of time who doesn’t need to bring one). •	Four orange laminated index cards with the words “Apparently I wasn’t ready” written on them. Cards must be hole punched and have a ziptie included with them. (Yep, it’s a death race thing). •	A dowel rod between 0.5-1 inch thick between 3.5-4.5 feet long. •	A Publix or Walmart gift card with any amount on it. •	Football (inflated, nice try Tom Brady). •	A laminated picture of Danny DeVito with everybody’s name signed on the back. •	Two empty wreckbags/goruck bags w/ filler bags inside. Must be of equal weight capacity. That’s all for the gear requirements for now. At any time prior to the event you may see this list change, so be sure to keep your eyes peeled on to the T3 Live Updates page. Attention to detail will make or break your T3. This team started as a couple of people training for a 5k OCR. Over the years our actions have inspired a movement with one simple goal in mind – to become stronger every day. We sincerely look forward to helping you all achieve that goal on the 15th of December as we also give a little back for the holidays! If you’re looking to refill your supply of endurance fuel, the CLIF double shot espresso shots are almost half price right now on Amazon! December 15th marks the next big team event that we’re putting together. Much like the big events that this is designed to train people for, the mind games have been in full swing ever since the event was initially announced. For one, those registered so far have voted for a ‘trick’ instead of a ‘treat’ for Halloween. Not wanting to deny them the trickery, the team has been given a new bit of information: The original start location and time is NOT the official one. In fact, they must now perform certain tasks to narrow down the actual location and time for their event. Those who arrive late will incur punishment for the entire team, so this is something they may want to focus on! That is just one of the many things that they will be encountering in the coming weeks leading up to the event, which you can follow at our T3 Live Updates page. If you’d like to register and be a part of the fun (it actually is pretty fun), go ahead and register below! 2018 Spartan Killington Ultra story is live! It took a couple weeks, but it finally got written! If you’d like to read about my first-hand experience at this year’s Killington Ultra, look no further than the latest AAR! As always you can find previous years write-ups in the articles/reviews tab. The famed UB guide will soon be updated with some updates and small lessons learned on the course. Fortunately there isn’t much to add and change around, which means that the guide still stands strong in its effectiveness! What an insane last couple months it's been! So, we famously say that our team thrives in the most adverse of conditions. Well, that needs to be said some more! 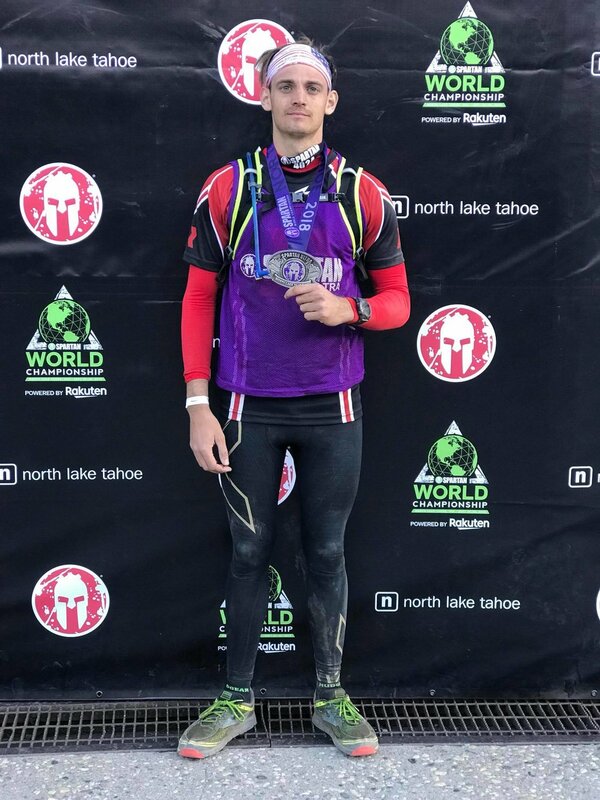 First, regiment elite Daniel went and completed the Tahoe 200 mile run! After that, three of our guys went and came home as finishers at the Killington Ultra! And then a week later, Wil Daniels absolutely crushes GORUCK Selection as candidate 012, making it into the final five! And to top it off, today Neal Moser just completed his first ultra in Tahoe! We’re proud of you guys!